Halloween has long been the day when the general population gets to wear whatever they want and have fun with fashion and themes. Now, with the rise in popularity of dressing up for conventions and festivals, there are other days through the year when costumes are acceptable. The downside to popularity is a rise in demand; which, of course means a rise in cost. Stores will happily sell you a costume-in-a bag, but the prices can be staggering. Especially, if you are trying to outfit a group of friends or family! That doesn't mean you have to skip dressing up or break the bank. With a bit of creativity, you can create fun group costumes with clothing you will wear throughout the year! Even if you have a child that REALLY WANTS a costume-in-a-bag for their favorite character, these ideas can help you get creative when dressing for supporting roles. One option is to pick a specific band. 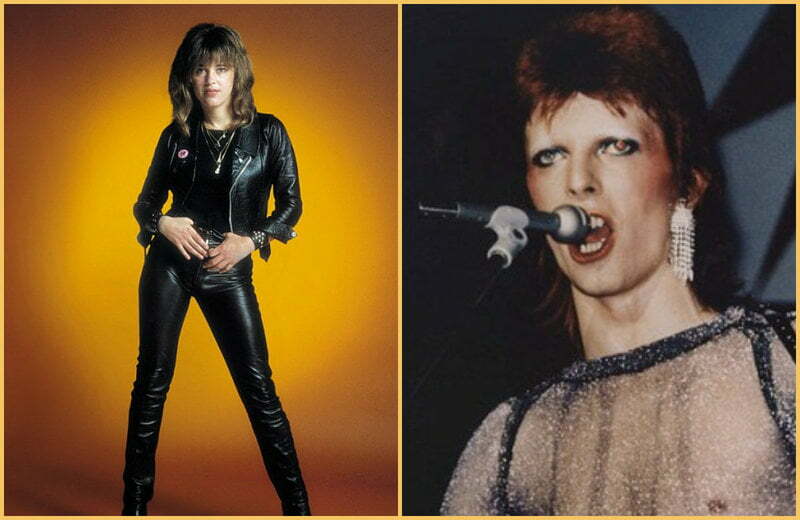 Particulaly, a group known for a signature style of fashion that would be easy to recreate. 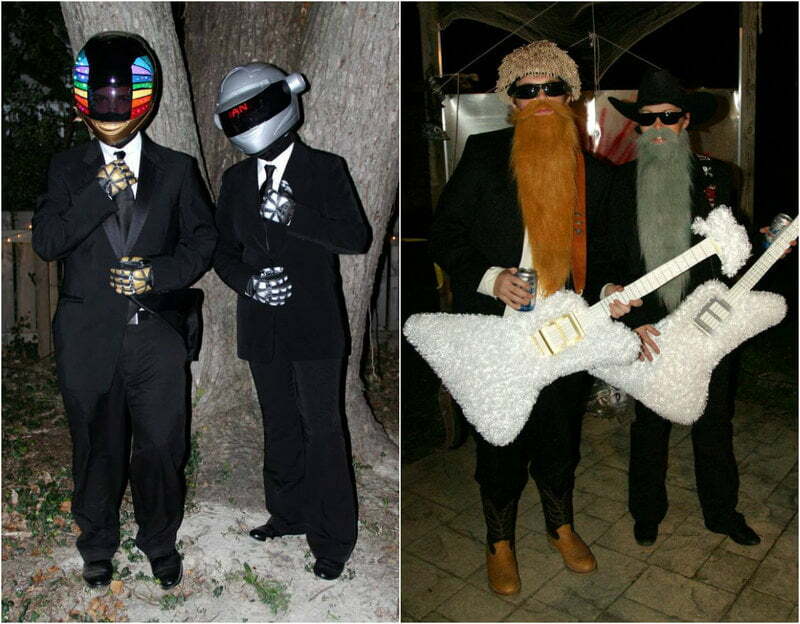 Below, we see two examples of DIY band costumes for Daft Punk and ZZ Top. For Daft Punk: The additon of customized motorcycle helmets and riding gloves makes a simple black suit and tie into an easily recognizable costume. For ZZ Top: Guitars were created with cardboard and covered with a funky fabric. Long beards were the only additional purchase necessary, as the basic outfits were fitted black blazers, white dress shirts, and black pants. You can also throwback to 80s hair bands, grunge fashion from the Nirvana generation, or add a bit of country outlaw with a Southern Rock theme. 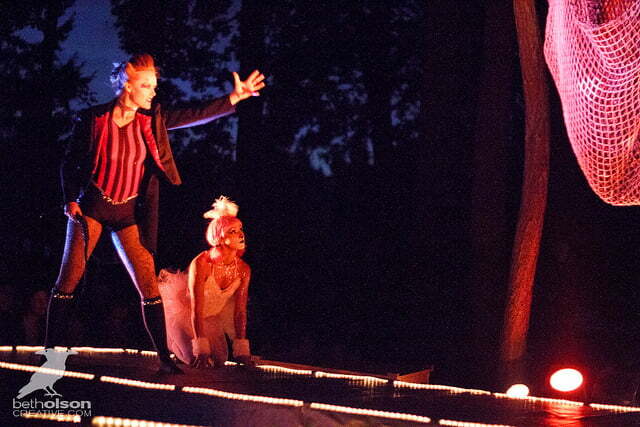 Oh, American Horror and Carnivale- we love you! Draw on these themes to create a creepy dark circus or carnival set for your group. Chances are, you already own clothes that will work for the base of your costume and you will only need to add a few props or face paint as finishing touches. Dress all in black and add a top hat and whip to take on the role of lion tamer. A bit of face paint can turn your red and black outfit into a fun harlequin costume. 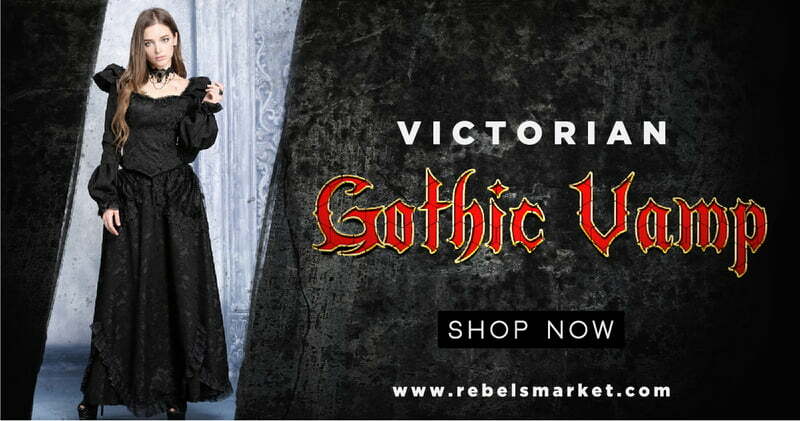 Gothic makeup with a dark suit and top hat will make you the ringleader of your misfit band of performers. Who will be the next Supreme? Speaking of American Horror Story- you and your friends can easily fake a modern day coven. Grab your favorite little black dress, break out your best witchy attitude, and put a spell on all who see you! Whether you stick with characters from the original SAMCRO or look to the future with FX and call your group the Mayans MC; SOA is a great way to put some of your biker chic to work! 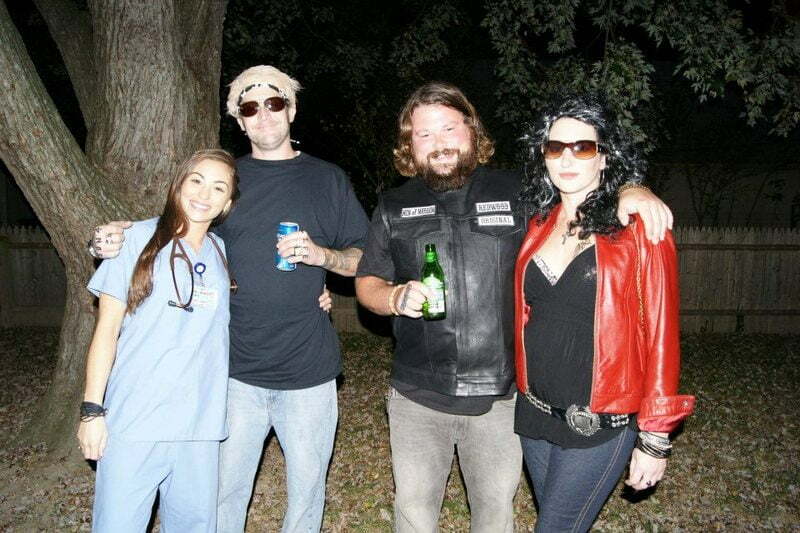 As you can see, group costumes can be pretty easy to put together on your own. A few props and makeup can make your regular wardrobe ready for any costume event. The best part about creating a theme with other people is you actually become props for each other! This really saves money when you consider you may never wear one of those premade costumes again. If you are going to shop for an event, why not pick up pieces that can at least be worn more than once! Have you ever designed a costume to fit with a group theme? What did you choose? Leave your suggestions in the comments below! Check out some of the craziest Halloween parties from around the world!